The experts in mystery entertainment host killer parties in Detroit that can't be beat! 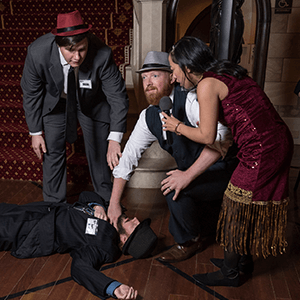 Delight your friends with a mystery show they get to be a part of as suspects and sleuths, solve a crime, and uncover a murderer! 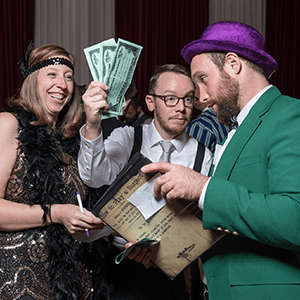 Live-action murder mystery parties are Detroit's most unique and engaging way to entertain for privately hosted events. 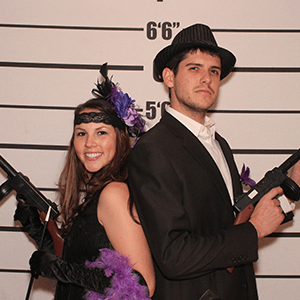 The Murder Mystery Company is Detroit’s Expert in Mystery Entertainment. 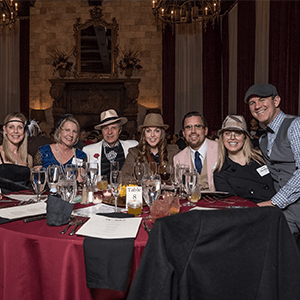 Enjoy your next dinner out with a side of murder in Detroit, Michigan with The Murder Mystery Company! 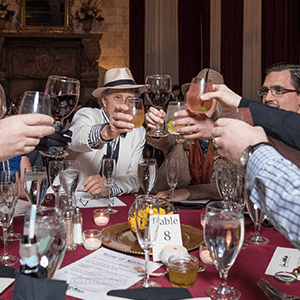 Join us for a delicious three course dinner and two hours of mystery, intrigue, and murder. If a night out isn’t what you had in mind, that’s ok! We’ll come to you with a private show for your private event or party! The Murder Mystery Company is killing it in Detroit with a murderously fun show where you get to solve the crime and be part of the show! Top it all off with a savory three course dinner, and you have a whole night out all in one killer little ticket. 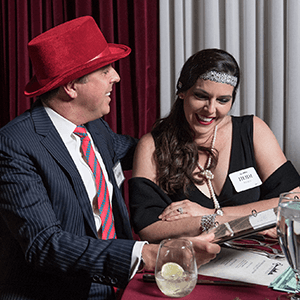 Our murder mystery show is the perfect way to celebrate a special occasion, spend time with special people, or just enjoy your next night off!